Sunday’s episode was more of your typical cop show, mostly. It was about a murder of a former drug addict and prostitute. This is all something we’re use to seeing on a typical NCIS or CIS. There were no maple syrup cartels on this one. The main focus at the beginning was dogs. 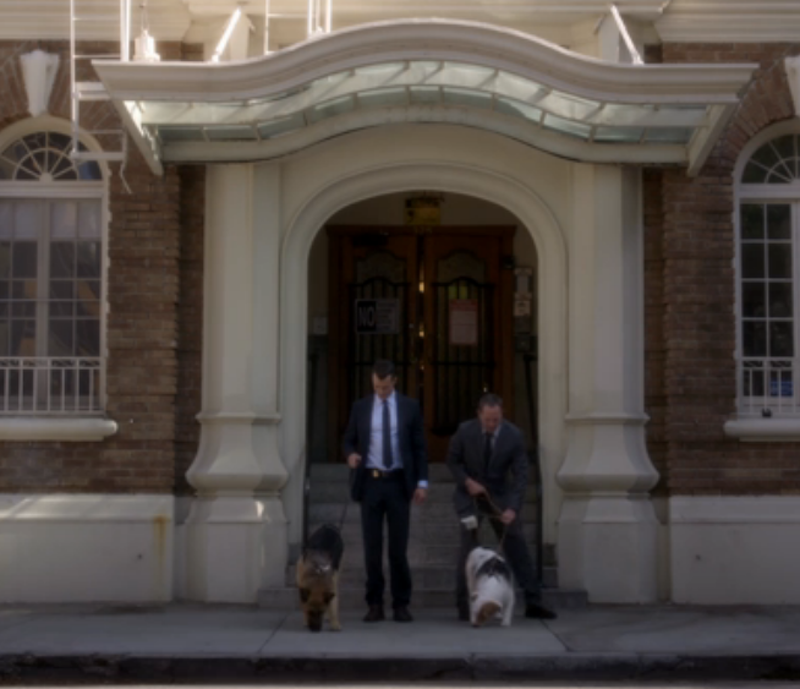 This episode showed how police dogs can be a vital to a police force. That is why this blog is for the dogs. What ended up leading Russ and Milt to the future suspects was a dog snout print. It all led to Milt and Russ getting into a competition about whose police dog was better. Now Milt’s FBI dog was a large German Shepherd and Russ’s was a small Jack Russell Terrier Mix. In this episode, Russ and the Battle Creek detectives act like this is the only police dog they have. In the real Battle Creek, the police force uses more than just one dog and they are your typical police dogs. They have German Shepherds and other types of police dogs that are very intimidating. No offense to Cookie because I know from personal experiences that Jack Russell’s have a great sense of smell and would make great trackers. In this episode I was able to notice a few pieces of the office that are from Battle Creek. 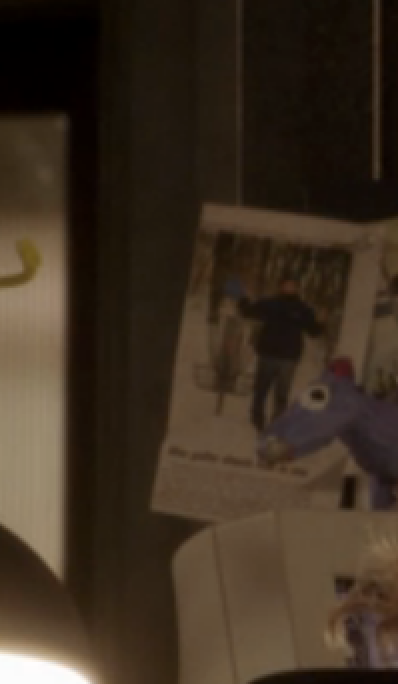 There is a shot of a corkboard by Holly’s desk that has a lot of flyers on it. There are abo ut 3 or 4 different bird pictures on it. One that stands out is the Robin. The Robin is the state bird of Michigan and is very prevalent starting in the spring. We always say that seeing Robin’s is a sign that spring is here. There is also a newspaper article on another bulletin board in the office. It has a picture of a man next to a disc golf course hole. In the real Battle Creek there are multiple disc golf courses in the city and around it. One is at Leila Arboretum and at Irving Park and the Fort Custer Recreation Area. In the last scene where Milt and Russ are at the diner with the victim’s son and sister, there are lots of pictures on the wall behind them when they stand. Those are all old pictures of the real Battle Creek. One of the most recognizable ones is of Clara’s on the River. Clara’s is now a restaurant but was once the Michigan Central Railroad Depot.